This loft-like brownstone in Brooklyn, New York needed a landscape that could stand up to it’s massive character. Our clients wanted a wide open space for their 2 children and 2 golden labs to play. Seating and grilling areas were requested, along with a need for good drainage. We gave the space a country feel with stacked stone walls, flagstone patio, and shaker style sconces. The horizontal cedar fence and floating bench provide modern touches. 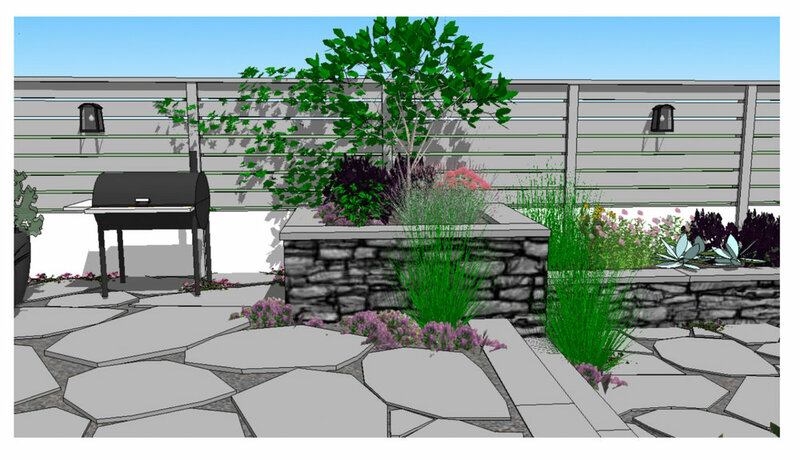 The cottage-style planting includes rudbekia, creeping thyme, liriope, lambs ear, amelanchier, ornamental grasses, and a sour cherry fruit tree.